Residential Air Conditioning — Binder Heating & Air Conditioning, Inc.
Quality air conditioning service, repair, and installation for homes in the Twin Cities metro area. As much as we love warm Minnesota summers, it’s important to have a reliable air conditioning system for those hot and humid days. Partner with Binder Heating to ensure your air conditioning system is always running efficiently at the start of every season. 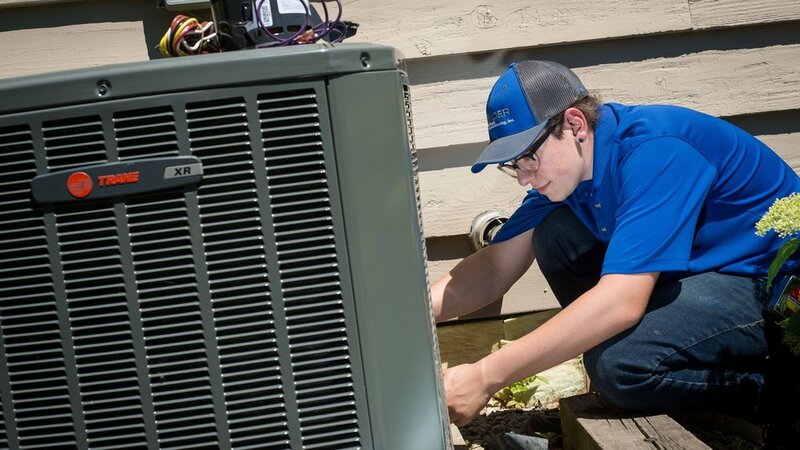 Servicing your home air conditioner on a regular schedule helps avoid costly emergencies and gives you confidence you’ll be comfortable in your home during the hot summer months. Our experienced team is highly trained to give your air conditioning system a proper tune up and walk you through any recommendations to extend its life and keep it running efficiently. Sign up for our annual service plan and gain peace of mind with a regular maintenance schedule. Although we’ll do everything we can to keep your equipment running, your air conditioner will finally reach the end of its lifecycle. When it’s time for replacement, we’re here to consult with you and provide recommendations tailored to your home and budget. If you’re remodeling or building a new home, we can help with project design and make sure we’re recommending an installation to fit your plans. We recommend and install air conditioning units we’re confident will give you with the best combination of cost, performance, and longevity.